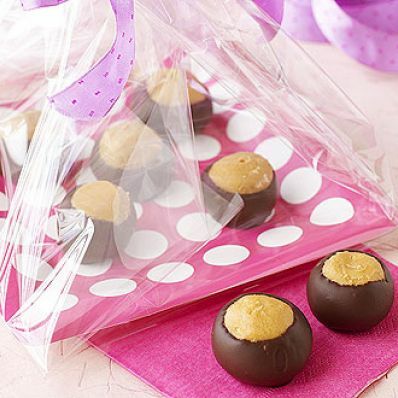 Peanut butter and chocolate make a popular duo in this yummy four-ingredient recipe. Arrange on a plate and present as food gifts for any special occasion or holiday. 1 of 5 Line 2 baking sheets with parchment or wax paper; set aside. 2 of 5 In a large bowl, beat peanut butter, butter and sugar with an electric mixer on medium speed until well combined. 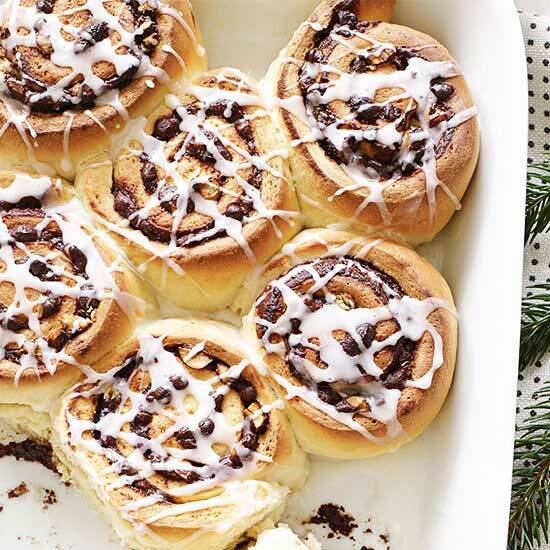 Roll into 1-inch balls and place on baking sheets. If mixture is sticky, wet hands with cold water and continue rolling. Place baking sheets in freezer for 30 minutes or until balls are firm. 3 of 5 Microwave chips in a glass bowl on HIGH for 2 minutes, stirring midway. 4 of 5 Pierce each ball with a toothpick and dip into chocolate 3/4 of the way deep, wiping excess chocolate on rim of bowl. Place on paper; repeat with remaining balls. Return undipped buckeyes to freezer for 10 minutes if they get too soft. 5 of 5 Chill in fridge for 45 minutes, until set. Put buckeyes on a pretty paper plate, wrap in cellophane and tie with ribbon.